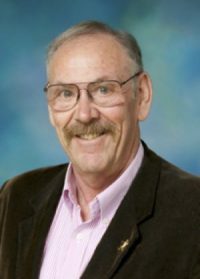 Julian M. Alston is a professor in the Department of Agricultural and Resource Economics of the University of California, Davis. He teaches graduate and undergraduate classes in microeconomic theory, the analysis of agricultural markets and policies, and wine and beer economics. Prior to beginning his current position in 1988, Julian was Chief Economist in the Department of Agriculture in Victoria, Australia, where he had been employed in various capacities since 1975. His experience in public policy analysis and advice, and in administration of a large scientific organization, has shaped Julian’s research interests in the economic analysis of agricultural markets and public policies concerning agricultural incomes, prices, trade, and agricultural research and promotion. He is also Associate Director of the University of California Agricultural Issues Center. Julian was raised on the family farm in northern Victoria, Australia. He has a Bachelor’s degree in Agricultural Science from the University of Melbourne in 1974; a Master’s degree in Agricultural Economics from La Trobe University in 1978; and a PhD in Economics from North Carolina State University in 1984.